Phillip Stalley is an associate professor at DePaul University. He teaches courses on a variety of subjects including Chinese politics, environmental politics, and international relations. Prior to joining DePaul, Phillip was a visiting research fellow at Princeton University in the Princeton-Harvard China and the World program. Professor Stalley also served as a visiting scholar in the environmental economics department at Fudan University in Shanghai. 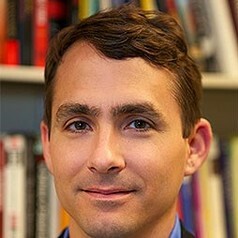 He is a member of the Public Intellectuals Program of the National Committee on U.S.-China Relations. Phillip's research focuses primarily on Chinese environmental politics. He is the author of Foreign Firms, Investment, and Environmental Regulation in the People's Republic of China (Stanford University Press, 2010) and his work can be found in academic journals such as The China Quarterly and Journal of Contemporary China. His current research project focuses on China's environmental diplomacy and its approach to international environmental institutions.